The ticket to better family travel is the 2017 Chevrolet Suburban for sale in Libertyville IL. Seating nine, the SUV offers a cushy cabin, good tow ratings, improved fuel economy, and real performance. This family ride also earns respect as one of Vincentric Best Values in America. As further proof of its worth, the Suburban also claims a Kelley Blue Book Best Resale Award. 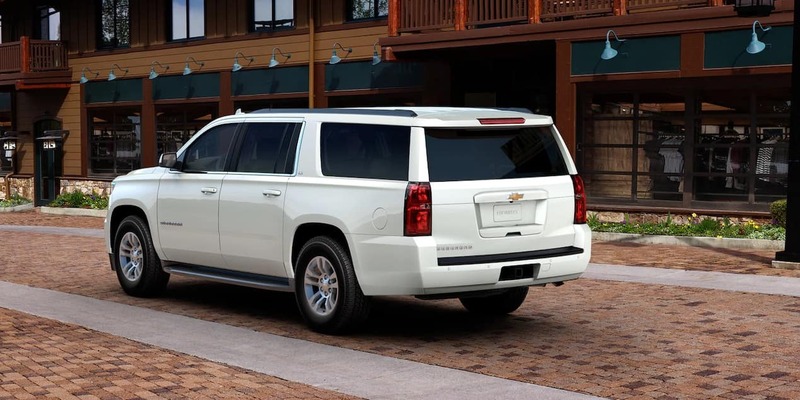 Check out Suburban specials online or in person at your Libertyville Chevrolet dealer. 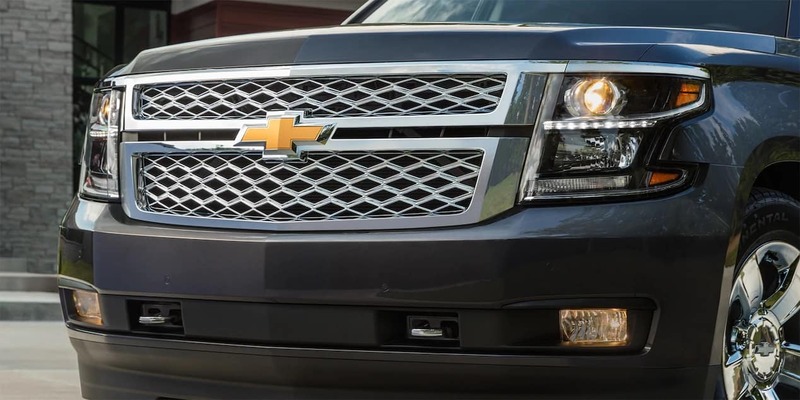 Wearing a dual-port grille, the Suburban for sale strikes a dynamic, more sophisticated pose. A new aerodynamic body shape is just the start of the ways that the Suburban for sale has changed. The doors have been fitted into the body frame, reducing wind resistance by smoothing the sides. The hood is now made of lighter weight aluminum. This greatly reduces the front-end weight. Dropping weight from the back end, Chevrolet utilizes aluminum in the liftgate of the 2017 Chevrolet Suburban for sale in Libertyville IL. New colors include tricoats in hues of sensational Siren Red or sophisticated Iridescent Pearl. A family-friendly feature, the power liftgate can now be triggered by waving your foot under the bumper. 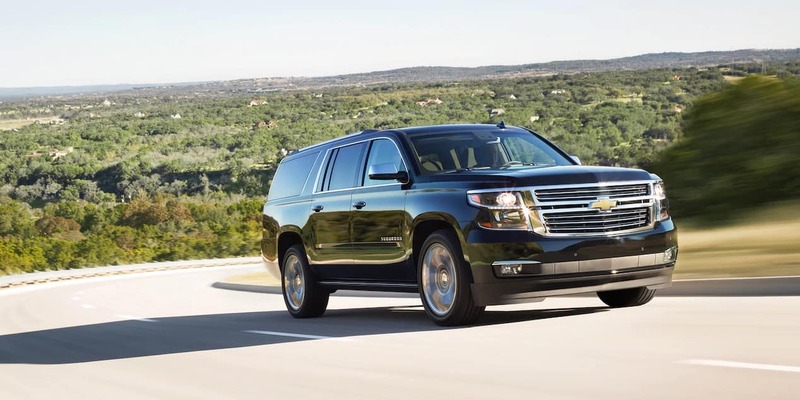 Chevrolet has stretched the Suburban. A new 130-inch wheel base enables it to offer 122 cu.ft. for passengers. 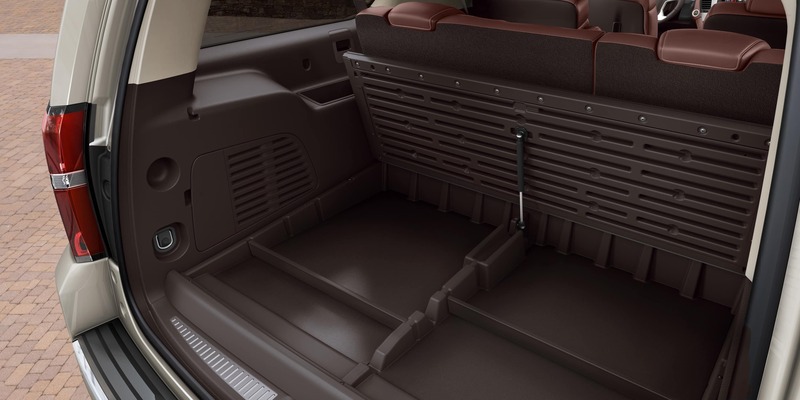 The cargo hold is bigger too with an amazing 39 cu.ft. Now this nine-seat wonder can hold everybody’s luggage. It can expand to 120 cu.ft. with the seats folded. A power-folding mechanism assists each row of the Premier edition. Drivers will want the power-adjust steering column and power-adjust pedals. The conversation mirror assists the parent who is monitoring the kids in the backseat. Power chairs keep parents more comfortable. 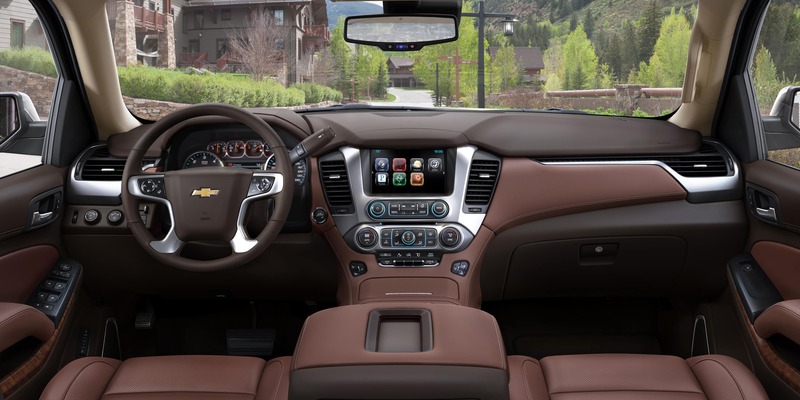 For 2017, Chevrolet has added a wireless charger, helping reduce clutter in the cabin. 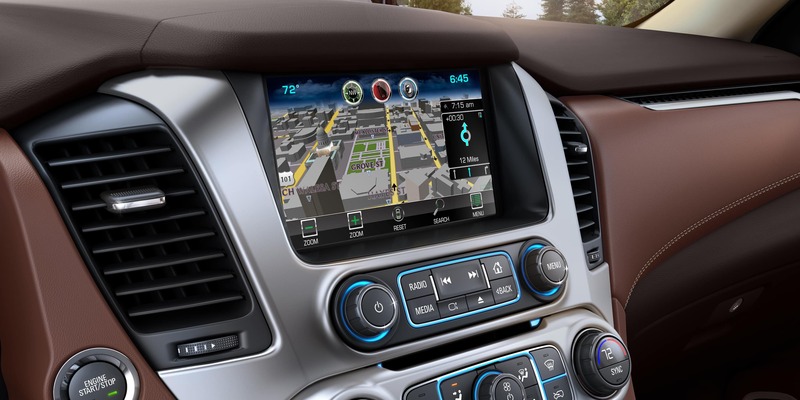 Apple CarPlay and Android Auto are also important additions. These systems expand what you can stream from your phone to the touchscreen. The MyLink touchscreen also comes with its own apps, including Pandora and Aha radio. A rearview camera works seamlessly with the touchscreen to give you a good view of your surroundings. Chevrolet provides 14 charging ports to accommodate parents and kids with smart devices. An available built-in entertainment center puts two screens in view of the middle and back rows. Onstar multiplies your options with a WiFi hotspot. Kids and teens can surf the internet, watching their favorite shows or playing games. Four color combinations and three trim levels make it easier to get the style that suits you. In addition, families can choose from seven-, eight- and nine-seat layouts. Your Libertyville Chevrolet dealer often has Suburban specials and financing offers to make this ride more affordable. The rear-wheel drivetrain system benefits from a locking rear differential. To keep the large SUV stable, electronic traction controls move brake power to the wheels where it can have the greatest effect. This is used not just for stopping power but for balance on curves and turns. The new Suburban for sale also has a choice of four-wheel drive systems. The single-speed system is all you need for daily driving challenges such as snow or mud. The other four-wheel drive system has a two-speed transfer case, and it allows you to take the trail less traveled in the 2017 Chevrolet Suburban. Making the family driver happy, the 2017 Chevrolet Suburban is powered by a 5.3-liter engine. After all, you need ample performance to handle a vehicle which totes nine people and lots of cargo. This powertrain puts 335 horses at the driver’s command. The SUV’s weight loss improves the power-to-weight ratio, helping the driver get more from every horse under the hood. The engine also supplies 383 lb.-ft. of torque thrust for liberal acceleration. The Suburban now claims best-in-class fuel economy thanks to the advancements in this EcoTec3 system. Efficiency improved by ten percent. With its durable build and high horsepower, the SUV is capable of towing up to 8,300 pounds. Families can pull a camper or boat trailer for their next adventure. Ready for an unexpected impact, the 2017 Chevrolet Suburban cabin is wrapped in a steel safety cage. Trying to avoid deadly mistakes, Chevy packs the menu with standards and options. 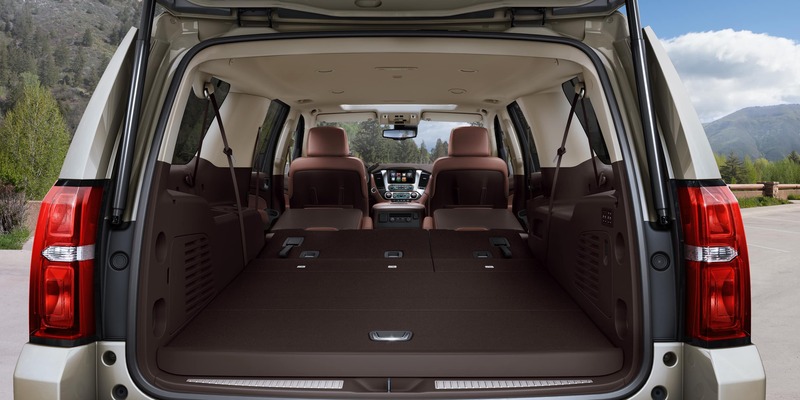 The 2017 Chevrolet Suburban for sale in Libertyville IL has a new feature that can save young lives. It chimes to warn parents to check the back rows for sleeping children in carseats. Furthermore, at the first sign of emergency braking, the Chevy boosts power to the brakes. Drivers can also get help from intelligent high beams that regulate the light for you. Another visual aid, the head up display puts critical information at eye level. A special safety chair vibrates to let the driver know about forward collision dangers or lane departures. When the collision warning does not elicit a response, the vehicle has a low-speed automatic braking system to decrease the likelihood of a wreck. Likewise, adaptive cruise control brakes in response to slowing traffic. When the lane warning goes unheeded, an automated assist can take corrective action. 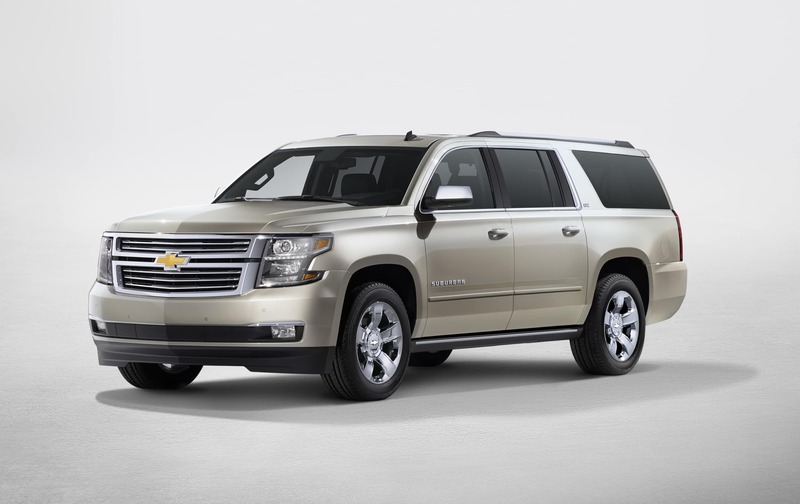 Libertyville Chevrolet dealer is your first stop for Suburban specials. Take a test drive of this home away from home for your family.